Displaying 1 thru 5 (of 15) 1 2 3 5 10 20 40 Per page. 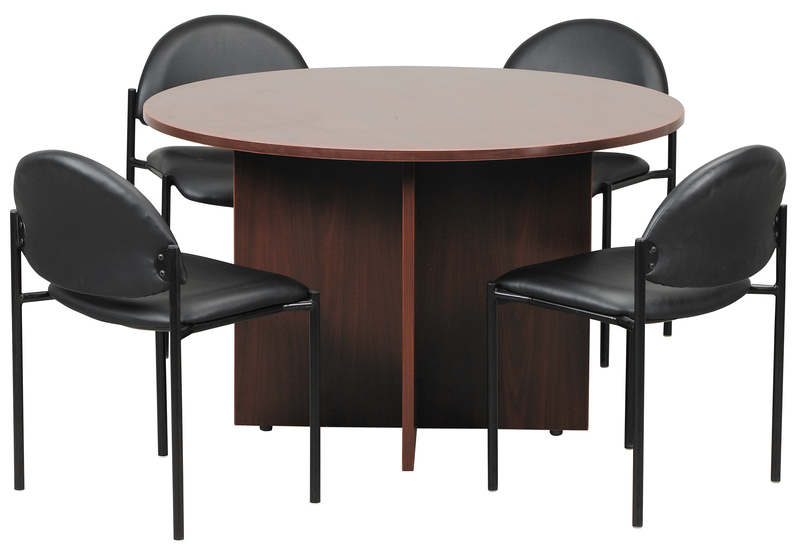 Laminate Round Conference Table available in Cherry or Mahaogany. Some assembly required. Next day availablility. Also available in 48" round. Other larger sizes are available by special order. Call for details. 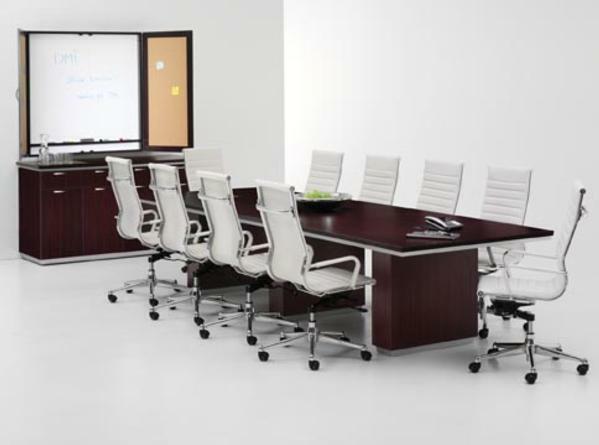 Laminate Racetrack Conference tables. Available in stock in Mahogany or Cherry. DIMENSIONS AVAILABLE: 71W x 35D x 29.5H...$200 95W x 43D x 29.5H...$280 120”W X 49”D X 29.5”H $387.50 Some assembly required. Shown at our show room. This conference table has expandable capabilities. You can order sections to expand the table to your desired length. 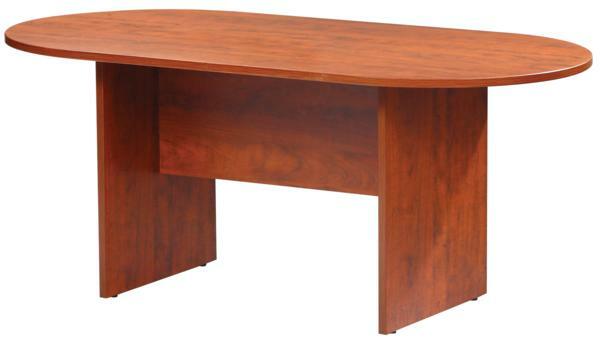 The table is available in Mocha Cherry (shown) or Cognac. Matching buffet credenza and presentation board is also available. In stock for immediate delivery. Call 909-987-1724 for more details and pricing. 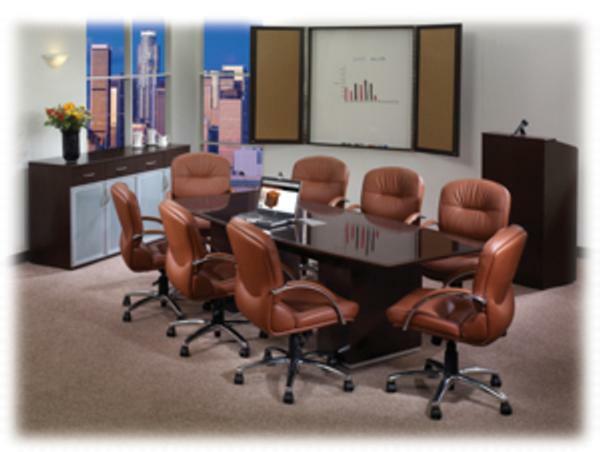 Made in the U.S.A., these conference tables by Maverick Desk feature high pressure laminate finishes. Wood edge details are also available as an upgrade and give the table an even more professional look. Choose from over 15 different laminate finishes. All sizes and shapes available. Power grommets also available for computer or teleconferencing.Tables are ready to ship in 5-20 working days. See store for details. 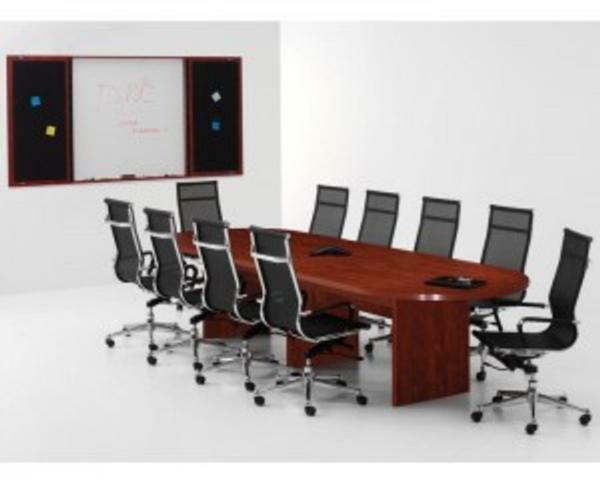 Affordable Laminate Conference Table is expandable from 8' or 10' to 22' long in 4' increments. Features a fluted edge detail and available in stock in Mocha, Cherry or Mahogany finish. View sample on our show room or call 909-987-1724 for pricing and information. Displaying 1 thru 5 (of 15) 1 2 3 5102040 Per page.